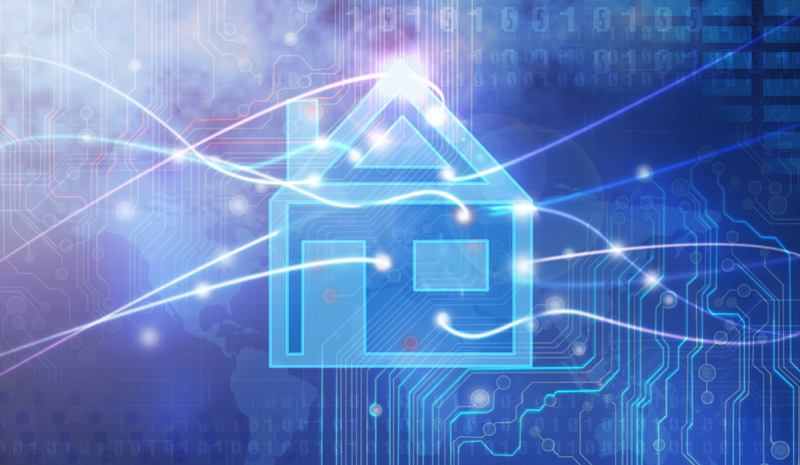 The evolution of home automation has hit major strides in the last few years. 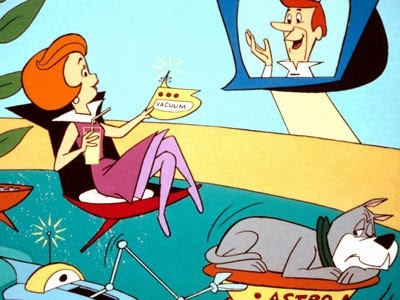 It wasn’t too long ago that the idea of flicking on your house lights, adjusting the thermostat and preheating the oven while you made the drive home was something only possible in “The Jetsons”. When I was a kid, I still remember having to crawl off the couch just to change the channel on the TV. Yet here we are, only a few decades later, and I can set the television to my favorite channel before I even step foot inside my house. Smart home technology is going to make life a lot easier for us and will likely become a common convenience before we know it. 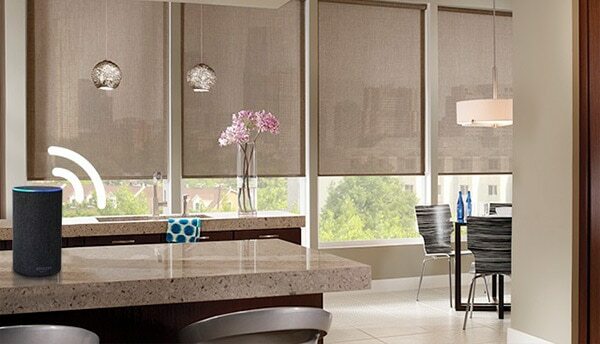 Let’s get better acquainted with the idea of smart homes and how your motorized blinds and shades can work with them. 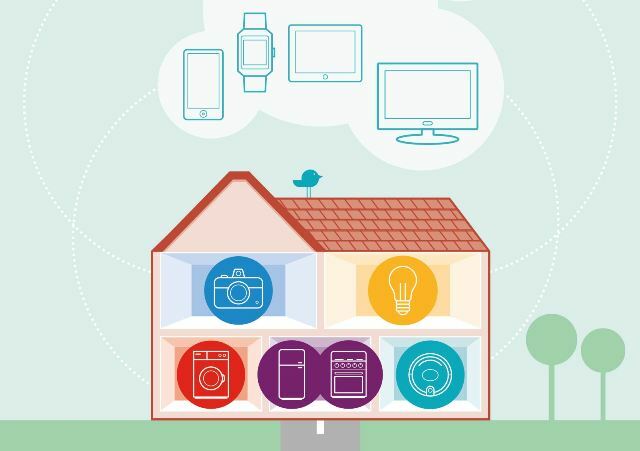 Smart Homes are now compatible with all sorts of devices, consisting of everything from wireless speakers, washers and dryers to door locks and security cameras. Obviously, smart homes can be used for safety just as easily as it can be used for entertainment. The trend of home automation isn’t just concerned with ease – its advantages are also rooted in function. It’s almost like having a bunch of invisible helpers running around your house, taking care of all the little things. The power to control our homes, from anywhere in the world, with the simple press of a button is now a reality. 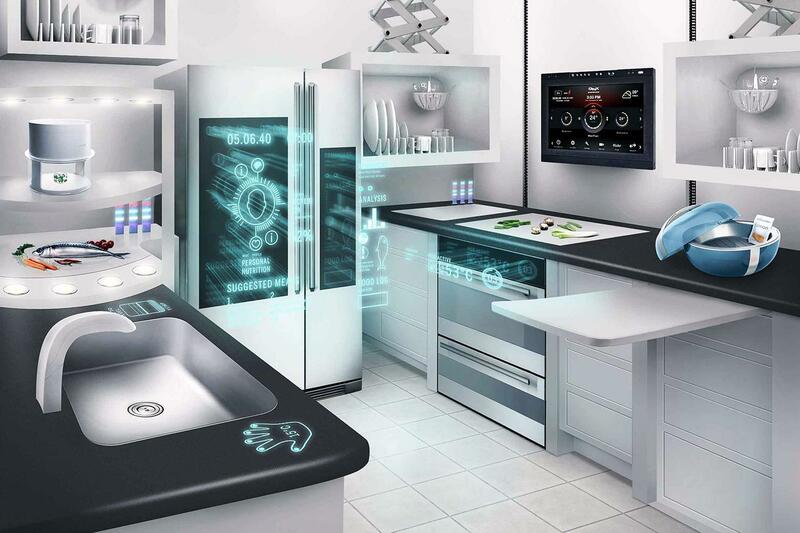 However, a true “smart home” means more than just having a simple remote for each of your appliances. Instead, new home automation systems rely on a networking technology where all your devices are connected through a single access point – instead of each of them relying on separate remotes. This is all done through a special language, or frequency, emitted, or “spoken”, by each of these devices. 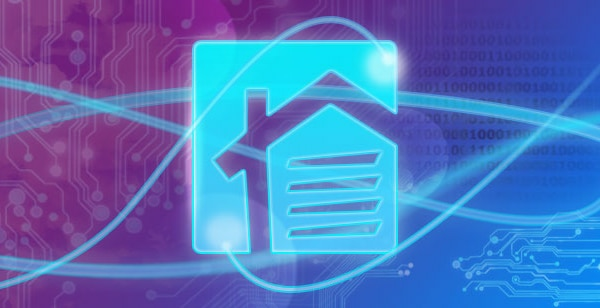 Z-Wave is by far the most popular language on the market, with a few of the other popular choices being Zigbee, LightwaveRF, and Bluetooth Smart. Large appliance companies like GE have sided with the Z-Wave language as it’s been around the longest, it’s the most economical, it’s easier to program and it operates at a longer range than the competitors. The list of products compatible with home automation systems is constantly growing and smart windows are no exception. Imagine lowering your blinds from your phone so you can block out the sun and catch a few more Z’s on early mornings. How about watching TV and removing the glare off your screen without even leaving your seat or missing a second of your show? Having total access to your window treatments, no matter where you are in the world, can be a huge benefit. Even if you are away on vacation, you’ll be able to adjust your shades and create the illusion you are home to steer away potential burglars. You can even program your smart window treatments to raise and lower with the sun, to always keep your home cool and comfortable. 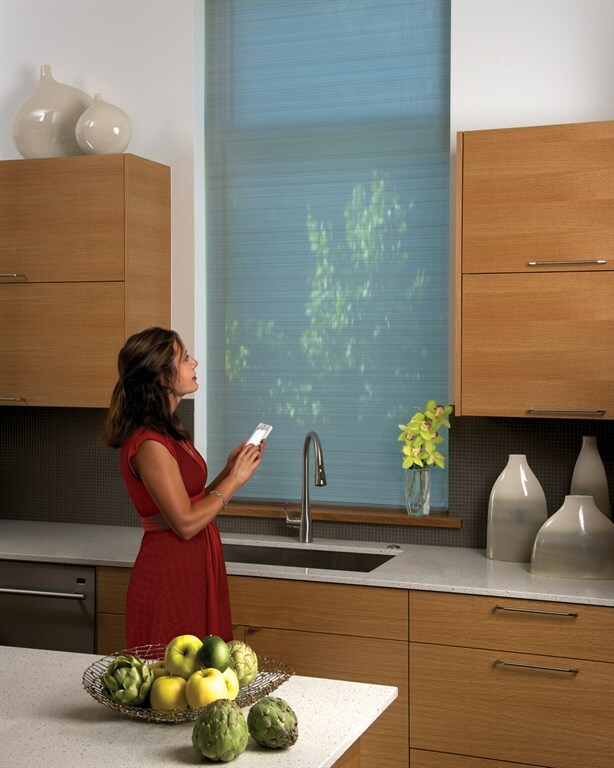 Want to connect the motorized blinds you already own to your smart home? Our ZRTSI-II bridge does just what you need, translating the language of the motor into Z-Wave so it can connect effortlessly to the rest of your home automation. We’ve finally found a way to get the world to revolve around us. Well, our world, anyways. As an alternative to Z-Wave, several products on our site, including our own Blindsgalore brand, can connect wirelessly to your phone, tablet or computer through a Neo Smart Hub. This hub is compatible with a wide array of window treatments types and can also seamlessly connect to your Amazon Alexa or Google home device. Instead of relying on Z-Wave, the Neo Hub uses your home’s existing WiFi and can be plugged in to any standard electrical outlet. Using your phone or tablet, you’ll then be able to pair your blinds or shades to your Alexa in less than ten steps. Before you know it, you’ll be raising or lowering your window coverings using your voice from anywhere in the house. It doesn’t get any easier, or more convenient, than that! Smart homes have the power to completely change the way we live. Much like the invention of the remote control that quickly changed how we watch television, smart home automation is going to change how we live our lives. Not only will this smart technology become an incredible convenience to most of us, but it has the power to bring accessibility to those in need. Disabled or elderly users will soon have the means to handle the tedious, once difficult, tasks around them in ways never before possible. Making the switch to a smart home may be the smartest move you ever make. Being able to control your entire home from the palm of your hand was unthinkable not too long ago and it’s now a common reality. Smart homes have already changed the way we live and as they continue to evolve the technology will become increasingly standard. Imagine hearing about all those slick wireless features the next time you buy a home – it’s mind blowing! The future is here and we’re all living in it. Our BG designer, Katie, has been creating bright looks for windows and rooms for over ten years. Katie has great ideas and "picks” for your windows. She will be sharing with you her design choices and seasonal recommendations throughout the year. Katie reminds you that all our BG window blinds, shades and drapes are all custom made for you. Each one is hand crafted to your size, color, fabric and special requests with our added attention to quality and detail. Katie will make sure you love your windows.